Tinder’s reign won’t let up. The dating app is not only the most recognizable in the industry, it’s also one of the most successful. 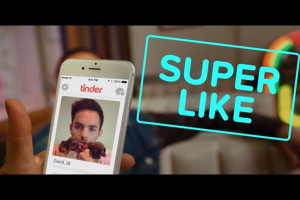 With constant feature updates, like 2015’s introduction of the ‘Super Like’, Tinder ensures it remains on top of the game. Two of the most recent updates have proved to be highly beneficial for the app. During a panel at this year’s SXSW, co-founder Sean Rad shared that Tinder has matched some 250,000 transgender users since unveiling new gender identity options last November. The company also increased its community education and refined its approach to preventing harassment. The panel, “Swiping Right on Inclusivity with Tinder & GLAAD,” included Transparent producer Zackary Drucker and Sarah Kate Ellis of GLAAD. Tinder eventually teamed up with GLAAD to create the best experience possible for all its users. On a lighter note, Tinder’s recent integration with Spotify is paying dividends. The dynamic duo joined forces last September to release Anthems, a feature that allows users to sync their Spotify account to the dating app to display their favorite songs on their profiles. The Weeknd and Draft Punk collaboration "Starboy" is the top anthem among males on the platform, reports Tinder, followed by Drake's "Fake Love," and The Chainsmokers featuring Halsey's "Closer." Female users are most into "Closer" at the moment, followed by Drake's "Same Love" and Ed Sheeran's "Shape of You." Overall, the top male artist beloved by Tinder users is Migos. The top female artist is Alessia Cara. Tinderers’ favourite bands are Twenty One Pilots, Maroon 5, and Red Hot Chili Peppers. Those with slightly older tastes love Queen’s “Bohemian Rhapsody” best, followed - improbably - by Smash Mouth’s “All Star.” “Here Comes The Sun” by The Beatles and “Heroes” by David Bowie are also throwback favourites. Tinder’s data confirms that an increasing number of singles are swiping based on music preferences after the Spotify integration. Users who have connected the streaming music service to their profile have received an average of 84 percent more matches. For more information on this service you can read our review of Tinder.